This included shuttering down the Compassionate Care Use of Ipilimumab on 8-12-2008. I believe there was no shortage. They took the opportunity to save on the bottom line instead of saving some Melanoma Patients. They seem not care about the patients as much as their bottom line. They say the take their responsibilities in the world seriously. PROVE IT. Return the compassionate drug to the patients that need it the most. By doing so, Bristol Meyer Squibb will get more back than just money for the bottom-line. They will get back their loyal consumers. This not about money, this about doing what is right and ethical. I urge Bristol-Meyer Squibb to do what is right and not just give us lip service. Shortage of Ipilimumab, I don't think so. I think it was staged to save and revert the drug to other Clinial trials. That is my opionion. Go to Clinical Trials. In the search field, type, Ipilimumab, Melanoma, protrate cancer, breast cancer,colon cancer, liver cancer. Then see when the trials that are recruiting and start date. If it is after 8-12-2008, then the clinical trials was started with Ipilimumab after they took away compassionate drug use for the Melanoma Patients and is unethical to say the least. Drugs giant Bristol-Meyers Squibb and a former subsidiary have been hauled over the coals and forced to pay more than half a billion dollars to settle settle federal and state investigations for promoting an anti-psychotic drug, Ablify, for uses that were not approved by the US Food and Drug Administration and providing illegal inducements to doctors and other health care providers. The inducements included consulting fees and all expenses paid trips to resorts to attend conferences. There were also allegations that Bristol-Myers Squibb was behind the submission of false or fraudulent claims to medicaid, Medicare and other federal health programs. Isn't this what we are trying to do? We have a theory, we need a clinical Trial to prove the theory. We are Taking "Extraordinary Measures"
If they can manipulate Doctors, just think what they can do to the patients. Watch the last two minutes. If you are thinking of changing Heathcare in Rochester, NY, don't. MPV Healthcare won’t process the request for CT scan of the CAP until they get the recent clinical reports and dates of the last chemo/immuno that was done. They are making us jump through hoops again. This Heathcare provider is nothing but trouble. Go with blue cross/shield if you can. You may be better off. Melanoma. I have reported them to CMS, my Congress persons,OFFICE OF THE NEW YORK STATE ATTORNEY GENERAL. Imagine,what about the old folks that don't have anyone to help them for fight for what is right. What is this world coming to???? Anything to save a buck and help the bottom line. This really gets me fired up!!!!!! This not the first time MPV Healthcare has denied us critical access to my Oncologist and my standard of care. Lets keep track on how long it takes MPV Healthcare to approve the CT scan. Robert Kennedy said, "Few will have the greatness to bend history; but each of us can work to change a small portion of events, and in the total of all those acts will be written the history of a generation...it is from numberless diverse acts of courage and belief that human history is thus shaped. Each time a man stands up for an ideal, or acts to improve the lots of others, or strikes out against injustice, he sends forth a tiny ripple of hope, and crossing each other from a million different centers of energy and daring, those ripples build a current which can sweep down the mightiest wall of oppression and resistance." This is a excerpt from a close friend from the Melanoma Community. 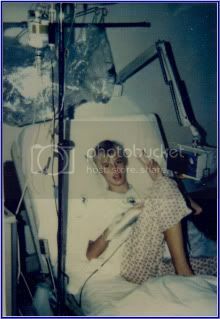 http://melanomamissionary.blogspot.com/ When you go to Jimmy's Blog you will read all his research and advocacy. This petition has taken his advocacy to a new level and it has been very effective in getting attention from the key decision makers at drug companies treating melanoma patients. It is critical for people like us to speak out and sign a petition to our government, whether it be the FDA or Congress and the Senate about the laws of Compassionate Care. Our officials need to be educated, especially when Healthcare is being debated RIGHT NOW in the Senate, and make the understand exactly what BIG PHARMA is doing correctly or NOT doing to help people who need access to medicine that might bring a cure to their diseases. Day in and day out I read Carepages and talk to people who are at the end of their life. What I have learned from them and many of you who take the time to be updated on Bob's Journey is that we are all part of a much larger chain of life than we realize. Speaking only for myself, I have found internal happiness and joy when I have joined in the larger story, focusing less on myself and small issues and joining something wider. As you sign petitions and advocate for our loved one I think you will get a sense of what I feel on a daily basis working "the systems" to try gain access in order to find a cure for Bob's cancer. It is a kind of focus on our core purpose as a collective, which is to hand off a better world to the next generation, I find a deep sense of purpose. This is basically to say that some of the greatest joys and happiness these last 7 3/4 months has come from feeling in some small way together with Jimmy Breitfeller and many many many others we have contributed to making things better - especially for melanoma patients. What really does matter is how we treat each other. I am proud to be a nanoparticle in this movement. See as particles get heated up, they move faster and faster. We start to collide with other things, this inturn starts everything into motion. Energy released from this motion may be in the form of heat. Heat can be good or bad. It just depends on which side you are on. Please Join the movement. We owe it to all Cancer Patients around the world. It is not over until we get the IVs!!!!!! It is time to rally the Melanoma Patients and take back the Clinical Trials. Bristol-Meyer Squibb halted the compassionate Drugs stating a drug shortage. There is evidence out there that the shorage was over months ago. They left the Melanoma Patients falling through the cracks of the Health Care System. We need change NOW!!!!! Sent a Letter to Dr. Margaret Hamburg, Commissioner of Food and Drugs. 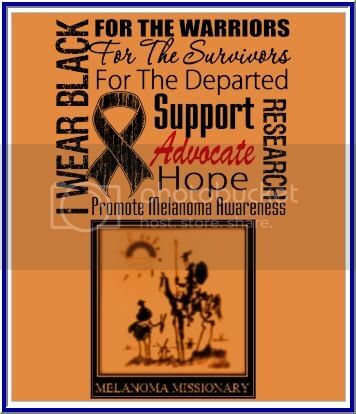 I am a melanoma patient/survivor/researcher, who has been stabilized by the use of Ipilimumab (Anti-CTLA-4 Blockage). BMS/Medarex stopped compassionate care use due to a shortage they say. It has been over a year (9/12/2008) since Melanoma patients that need the drug as a last resort of survival, have been left out of Clinical Trials which seems to me to be unethical. I know for a fact that it only takes 3 months to make and certify a batch of this monoclonal antibody. In fact, I contacted your shortage team a number of times. This drug never showed up on the shortage list and as a matter of fact, Bristol-Meyer Squibb has made a number of batches. They continued to start up new clinical trials, while leaving the most vulnerable to fall though the cracks of our Heath System. I asked you to please show some compassion and look into this matter. I hope it doesn’t fall on deaf ears. It has been almost a year that they said they have a production problem. I don’t think so. Where is the compassionate use???????????????? Medarex (Annandale, NJ) recently announced that Centocor has paid $4 million in milestone fees for its use of the HuMab-Mouse technology. Separately, the company announced a new licensing agreement for the HuMab technology with Immunex Corp. Centocor holds exclusive commercial licenses to develop HuMab antibodies on four licensed targets. Where is the shortage if they can make product in a matter of months. Bristol-Meyer Squbibb is unethical in my opinion. I go my dose of Ipilimumab. It saved my life. I am fighting for all the others that are too sick to fight. I have had the opportunity to meet with several people at BMS who are involved in ipi and can tell you that they share your frustration. The official word is that when they applied for compassionate use approval they underestimated the demand they would face. That plus the fact that people were surviving longer on the drug placed an unanticipated strain on capacity, resulting in suspending the compassionate use program. They have a new batch of ipi available, but are holding off on compassionate use until they are absolutely sure they have enough to fulfill the requirements of the clinical trials. I have heard that the trials are largely enrolled and that many trials have waiting lists. I have sent a note to the people I met at BMS and asked them two questions you raise: Why did the new batch take so long? And, when do they expect compassionate use to be re-opened? The word I had earlier was the first quarter of 2010. I will post again when and if I get a reply. I have tried to encourage them to provide regular updates on status--people definitely want to know what is going on. On June 11, 2007, BMS agreed to plead guilty and pay a $1 million criminal fine for misleading the government about the Plavix patent deal. BMS paid the maximum fine permitted by statute for committing two violations under the federal False Statements Act." They mislead Government officials so why would they tell us the Patients, the truth about the shortage? PRINCETON, N.J., April 25 2008 /PRNewswire-FirstCall/ -- Medarex, Inc.
(Nasdaq: MEDX) and Bristol-Myers Squibb Company (NYSE: BMY) today announced that, after meeting with the U.S. Food and Drug Administration (FDA), the companies will delay the Biologics License Application (BLA) submission for ipilimumab, an investigational immunotherapy for patients with advanced metastatic melanoma. The FDA has requested additional overall survival (OS)data to further demonstrate the benefit of ipilimumab. Revised timelines are under development, but a BLA for ipilimumab will not be submitted to the FDA in 2008. As far as my research to date(10-22-2009), BMS/Medarex has not file a BLA with the FDA. Your email was forwarded to us by CBER (this IND resides in the Center for Drugs Evaluation and Research). We have contacted BMS to check into the availability of ipilimumab and here is the information that BMS provided to us. 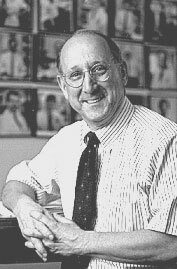 “Toensure treatment is not interrupted for patients currently receiving ipilimumab and to provide ongoing supply to the registrational program, Bristol-Myers Squibb and Medarex have suspended enrollment of new patients into the compassionate use program, single patient exemptions and initiation of some non-registrational trials effective September 12, 2008. Bristol-Myers Squibb and Medarex are working to manage the supply issue and may be able to re-open compassionate use in the future. The companies are committed to providing uninterrupted treatment to patients who initiate therapy with ipilimumab. Therefore, if and when the compassionate use program reopens, it will be at such time when continuous and unconstrained supply is available." It Takes about a month to make a batch of monoclonal antibodies. By the time the batch is tested and packaged and approved, let us allow another two months. So in a year you should be able to make 3 to 4 batches. Ipilimumab which ASCO reported some promising results had been widely available in compassionate use trials across the county until a shortage halted the studies. Bristol Myers Squibb, is now manufacturing the drug again and there are a few small “pharmacokinetic” trials to prove the agent is the same as the previous one used in trials. Most of these trials already have waiting lists, but it may be worth checking out. Screening started August 4th and you can find the locations on www.clinicaltrials.gov. Well come to find out that BMS/Medarex is opening up new clinical trials with Ipilimumab and continue to keep the compassionate use trial closed. How ethical is that? When big pharma is involved in clinical development, it usually means large-scale clinical trials with patients and multiple sites. These are all trials that were started after the halting of the compassionate Use. Bristol-Meyer Squibb thinks we the Melanoma Patients are expendable so they continued there quest to seek out new uses for the Drug. Get a bigger bang for the buck. They already know it will work well with Melanoma so why not find other uses. Base on my calculation, 923 late stage Melanoma Patients were denied the drug while Bristol–Meyer Squibb continued to apply and start up new trials. “Regarding compassionate use, as you are aware, the rate of enrollment in the compassionate use program for ipilimumab was greater than anticipated with 30 to 40 percent of patients continuing on therapy beyond the initial induction schedule. This demand depleted drug supply at a faster rate than anticipated. Bristol-Myers Squibb had to suspend enrollment of new patients into the compassionate use program and single patient exemptions to ensure treatment is not interrupted for patients currently receiving ipilimumab and to provide supply for ongoing clinical studies. We are working through the manufacturing and testing process, and continue to carefully manage the supply to enable the potential re-opening of compassionate use at the earliest possible time and when continuous supply is available. As you can read, BMS is not even acknowledging that they even produced other batches. We the Patients deserve better, We are the ones who are taking all the risk. We should have some control in this process. We the Patients have had to hear it from second hand sources like the Melanoma International Foundation and Melanoma Research Foundation. I don’t believe that their ad advertisers (The Ogilvy Group Inc) can repair the public’s trust in this company. This Month will be the anniversary of the discovery of Anti-CTLA-4 antibodies, celebrating ten years in the making of the drug. This is way to long for a drug to come to market. It usually takes 8.7 years for monoclonal antibodies. So what gives? How cells activate and produce immune response . "Now, an incredible breakthrough. A tiny capsule that can stop even advanced Melanoma in its tracks. It's called PLX 4032 — and the results are so swift and dramatic that it's got even the usually conservative medical community excited. Even better, this drug could mark the beginning of a cure for other forms of cancer. Already, it's giving some patients back their lives and, for people like 24-year-old Brendan Robbins, offering hope — just in time." You may want to be checked for the BRAF Mutation.